This business valuation glossary covers the most important concepts to know in valuing a company. This guide is part of CFI’s Business Valuation Modeling Course. See firm-specific risk for the definition of AlphaAlphaAlpha is a measure of the performance of an investment relative to a suitable market index such as the S&P 500. An alpha of one shows that the return on the investment during a specified time frame outperformed the overall market average by 1%.. The Beta (β)Beta CoefficientThe Beta coefficient is a measure of sensitivity or correlation of a security or investment portfolio to movements in the overall market. We can derive a statistical measure of risk by comparing the returns of an individual security/portfolio to the returns of the overall market of a stock or portfolio is a number describing the correlated volatility of an asset in relation to the volatility of the benchmark that the asset is being compared to. This benchmark is generally the overall financial market and is often estimated via the use of representative indices, such as the S&P 500. The Capital Asset Pricing (CAPM) ModelCapital Asset Pricing Model (CAPM)The Capital Asset Pricing Model (CAPM) is a model that describes the relationship between expected return and risk of a security. CAPM formula shows the return of a security is equal to the risk-free return plus a risk premium, based on the beta of that security is the most widely used risk/return model used to calculate the equity cost of capital. Comps or Comparable Company AnalysisComparable Company AnalysisHow to perform Comparable Company Analysis. This guide shows you step-by-step how to build comparable company analysis ("Comps"), includes a free template and many examples. Comps is a relative valuation methodology that looks at ratios of similar public companies and uses them to derive the value of another business involves identifying valuation multiples from comparable listed companies and applying these to the financials of the company to be valued. See Comparable Company AnalysisComparable Company AnalysisHow to perform Comparable Company Analysis. This guide shows you step-by-step how to build comparable company analysis ("Comps"), includes a free template and many examples. Comps is a relative valuation methodology that looks at ratios of similar public companies and uses them to derive the value of another business. The promises made by the borrowing company in a loan agreement to adhere to certain limits in its operations. Raising money for a business through loans or by issuing bonds. The discount rate is the percentage rate required to calculate the present value of a future cash flow. Discounted Cash Flow (DCF)Discounted Cash Flow DCF FormulaThe discounted cash flow DCF formula is the sum of the cash flow in each period divided by one plus the discount rate raised to the power of the period #. This article breaks down the DCF formula into simple terms with examples and a video of the calculation. The formula is used to determine the value of a business valuation is a method of valuing a company using the concept of the time value of money. All future cash flows are estimated and discounted to give their present values. The sum of all future cash flows, both incoming and outgoing, is the net present value (NPV), which is taken as the value or price of the cash flows in question. A share of a company’s net profits distributed by the company to a class of its shareholders. Earnings Before Interest and TaxEBIT GuideEBIT stands for Earnings Before Interest and Taxes and is one of the last subtotals in the income statement before net income. EBIT is also sometimes referred to as operating income and is called this because it's found by deducting all operating expenses (production and non-production costs) from sales revenue.. Sometimes referred to as operating profit. Earnings Before Interest, Taxation, Depreciation, and AmortizationEBITDAEBITDA or Earnings Before Interest, Tax, Depreciation, Amortization is a company's profits before any of these net deductions are made. EBITDA focuses on the operating decisions of a business because it looks at the business’ profitability from core operations before the impact of capital structure. Formula, examples. Enterprise Value (EV)Enterprise ValueEnterprise Value, or Firm Value, is the entire value of a firm equal to its equity value, plus net debt, plus any minority interest, used in valuation. It looks at the entire market value rather than just the equity value, so all ownership interests and asset claims from both debt and equity are included., also known as Total Enterprise Value (TEV), Entity Value, or Firm Value (FV) is a measure reflecting the market value of a whole business. It is the sum of claims of all the security-holders: debt holders, preferred shareholders, minority interest, common equity holders, and others. A ratio used to determine the value of a company. 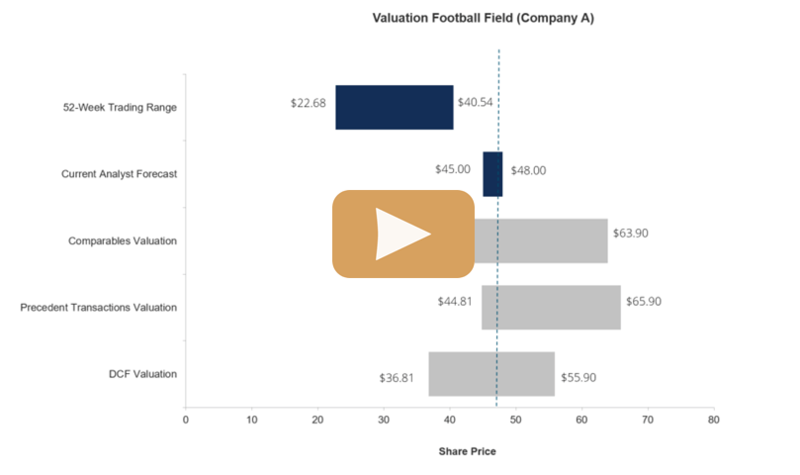 The enterprise value multiple looks at a company as a potential acquirer would, because it takes debt into account – an item which other multiples like the P/E ratio do not include. An example of an enterprise value multiple is EV/EBITDA. See Enterprise ValueEnterprise ValueEnterprise Value, or Firm Value, is the entire value of a firm equal to its equity value, plus net debt, plus any minority interest, used in valuation. It looks at the entire market value rather than just the equity value, so all ownership interests and asset claims from both debt and equity are included..
Total assets less total liabilities. Also called total shareholders’ equity or net worth. The money acquired from the business owners themselves or from other investors. A ratio used to determine the value of a company’s equity. An example of an equity multiple is price to earnings. See risk premium for the definition of Equity Risk PremiumEquity Risk PremiumEquity risk premium is the difference between returns on equity/individual stock and the risk-free rate of return. It is the compensation to the investor for taking a higher level of risk and investing in equity rather than risk-free securities..
Equity ValueEquity ValueEquity value, commonly referred to as the market value of equity or market capitalization, can be defined as the total value of the company that is attributable to shareholders. To calculate equity value follow the examples and step-by-step instruction in this straightforward guide from CFI. is the value of a company available to shareholders. It is the enterprise value plus all cash and cash equivalents, short and long-term investments, and less all short-term debt, long-term debt, and minority interests. The EV to capital employed multiple is defined as the enterprise value divided by capital employed where capital employed is the book value of all funding (e.g. debt and equity). The EV to EBIT multiple is defined as the enterprise value divided by earnings before interest and tax. 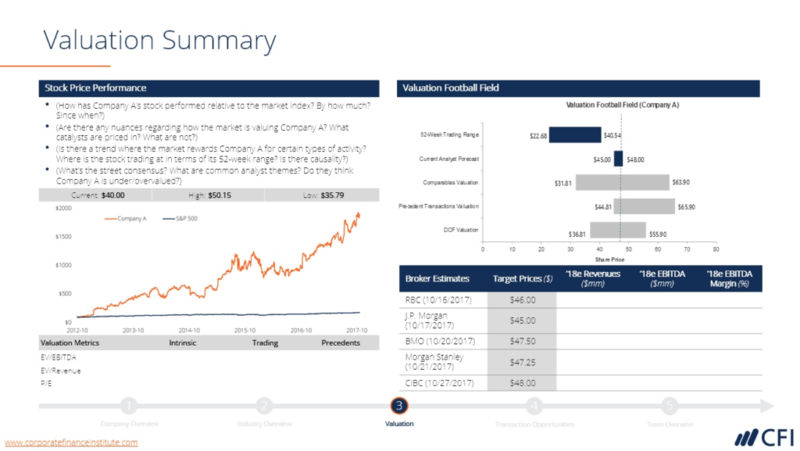 The EV to EBITDA multipleEV/EBITDAEV/EBITDA is used in valuation to compare the value of similar businesses by evaluating their Enterprise Value (EV) to EBITDA multiple relative to an average. In this guide, we will break down the EV/EBTIDA multiple into its various components, and walk you through how to calculate it step by step is defined as the enterprise value divided by earnings before interest, tax, depreciation, and amortization. The EV to free cash flows multiple is defined as the enterprise value divided by free cash flows to the firm. The EV to sales multiple is defined as the enterprise value divided by sales (also called revenue or turnover). Firm-specific risk is sometimes called unsystematic risk, specific risk, diversifiable risk or alpha. The category includes risks associated with a firm’s management team, operations, projects, products, profits, and so on. Free Cash Flows to Equity is the cash flow available for distribution to equity holders. If net borrowings remain unchanged, the formula is free cash flows to the firm – Interest Expense x (1 – Tax Rate). This is the cash flow available for distribution among all the securities holders of an organization (i.e. debt holders, equity holders, etc.). The standard definition is EBIT x (1 – Tax Rate) + Depreciation & Amortization +/- Changes in Working Capital – Capital Expenditure. The can also be referred to as unlevered free cash flowUnlevered Free Cash FlowUnlevered Free Cash Flow is a theoretical cash flow figure for a business, assuming the company is completely debt free with no interest expense. It's used in financial modeling to calculate a company's enterprise value. The formula = EBIT - Taxes + Depreciation & Amortization - Capex – Change in Working Capital. All interest-bearing debt (both current and long-term). See Market CapitalizationMarket CapitalizationMarket Capitalization (Market Cap) is the most recent market value of a company’s outstanding shares. Market Cap is equal to the current share price multiplied by the number of shares outstanding. The investing community often uses the market capitalization value to rank companies. Market CapitalizationMarket CapitalizationMarket Capitalization (Market Cap) is the most recent market value of a company’s outstanding shares. Market Cap is equal to the current share price multiplied by the number of shares outstanding. The investing community often uses the market capitalization value to rank companies is the share prices times the number of shares outstanding for a publicly traded company. Market Risk is often referred to as systematic risk, non-specific risk, non-diversifiable risk or beta. This category includes risks such as interest rates, the economic cycle, inflation, legislation and socio-economic developments. The Multiples Valuation ApproachTypes of Valuation MultiplesThere are many types of valuation multiples used in financial analysis. These types of multiples can be categorized as equity multiples and enterprise value multiples. They are used in two different methods: comparable company analysis (comps) or precedent transactions, (precedents). See examples of how to calculate is a valuation theory based on the idea that similar assets sell at similar prices. It assumes that a ratio comparing value to some firm-specific variable (operating margins, cash flow, etc.) is the same across similar firms. Net debt is all interest bearing debt (often referred to as gross debt) less cash, cash equivalents and marketable securities. Net debt assumes that cash and marketable securities are “surplus” or “redundant” and can be used to pay down debt. In practice, It is important to assess whether all cash, cash equivalents, and marketable securities truly are “redundant” or readily disposable. Net Operating Profit After Tax (NOPAT)NOPATNOPAT stands for Net Operating Profit After Tax and represents a company's theoretical income from operations. Examples, formula, how to calculate NOPAT. Simple form: Income from Operations x (1 - tax rate) or Long form: [Net Income + Tax + Interest Expense + any Non-Operating Gains/Losses] x (1 - tax rate) is a company’s after-tax operating profit for all investors, including shareholders and debt holders. NOPATNOPATNOPAT stands for Net Operating Profit After Tax and represents a company's theoretical income from operations. Examples, formula, how to calculate NOPAT. Simple form: Income from Operations x (1 - tax rate) or Long form: [Net Income + Tax + Interest Expense + any Non-Operating Gains/Losses] x (1 - tax rate) is typically defined as EBIT x (1 – effective tax rate). Net Present Value Net Present Value (NPV)Net Present Value (NPV) is the value of all future cash flows (positive and negative) over the entire life of an investment discounted to the present. NPV analysis is a form of intrinsic valuation and is used extensively across finance and accounting for determining the value of a business, investment security,is the sum of the present values of a time series of future cash flows. Earnings adjusted for non-recurring items, over/under depreciation, profit/loss on sale of assets, etc. so that earnings reflect the ongoing performance of the company. Precedents or Precedent Transaction AnalysisPrecedent Transaction AnalysisPrecedent transaction analysis is a method of company valuation where past M&A transactions are used to value a comparable business today. Commonly referred to as “precedents”, this method of valuation is used to value an entire business as part of a merger/acquisition commonly prepared by analysts involves identifying recent acquisitions in the same sector and applying the multiples from these transactions to the financials of the company to be valued. The price to book multiple is defined as the market capitalization (or equity value of common shares) divided by the book value of equity which is total common shareholders’ equity excluding preference shares and minority interest. The price to cash flow multiple is defined as the market capitalization (or equity value of common shares) divided by free cash flows to equity. Free cash flows to equity is typically defined as cash flows from operations less capital expenditures. The Price to Earnings MultiplePrice Earnings RatioThe Price Earnings Ratio (P/E Ratio) is the relationship between a company’s stock price and earnings per share. It gives investors a better sense of the value of a company. The P/E shows the expectations of the market and is the price you must pay per unit of current (or future) earnings is defined as the market capitalization (or equity value of common shares) divided by the earnings belonging to common shareholders. Most analysts use the yield on government bonds to determine the risk-free rate even though they are not entirely risk-free. This is because it is virtually impossible to get a truly risk free rate. Risk PremiumEquity Risk PremiumEquity risk premium is the difference between returns on equity/individual stock and the risk-free rate of return. It is the compensation to the investor for taking a higher level of risk and investing in equity rather than risk-free securities. is the excess return that the overall stock market provides over the risk-free rate. A DCF valuation technique that solely uses a DCF perpetuity formula to value a company. It should only be used for companies with stable cash flows that are expected to grow in a predictable manner. A measure of the dispersion of a set of data from its mean. The more spread apart the data, the higher the deviation. Standard deviation is calculated as the square root of variance. Total shareholder return (TSR) is the total return of a stock to an investor including both dividends and capital gains. A DCF valuation technique that is made up of a finite forecast period and a post-forecast period. The post-forecast period is commonly referred to as the continuing value, terminal value or TV. VarianceVariance AnalysisVariance analysis can be summarized as an analysis of the difference between planned and actual numbers. The sum of all variances gives a picture of the overall over-performance or under-performance for a particular reporting period. For each individual item, companies assess its favorability by comparing actual costs is a measure of the dispersion of a set of data points around their mean value. Variance is a mathematical expectation of the average squared deviations from the mean. The Weighted Average Cost of Capital (WACC)WACCWACC is a firm’s Weighted Average Cost of Capital and represents its blended cost of capital including equity and debt. The WACC formula is = (E/V x Re) + ((D/V x Rd) x (1-T)). This guide will provide an overview of what it is, why its used, how to calculate it, and also provides a downloadable WACC calculator incorporates the individual costs of capital for each provider of finance (e.g. debt and equity), weighted by the relative size of their contribution to the overall pool of finance.